A biology journal has blacklisted authors from publishing their work after finding their case report about a dementia patient with hypersexuality was plagiarized from a previously published report. The retraction notice, issued by Advances in Human Biology (AIHB) in June, recognizes the case as “scientific misconduct.” The journal launched an investigation after the plagiarism was flagged by the author of the original report, the editor-in-chief of the journal told us. Eventually, the journal retracted the report — and removed it entirely from their website. This article was found to be Plagiarized. Dr. Prutha Desai, Dr. Nisheet Patel, Dr. Nimesh C Parikh was found guilty of doing so. They have been blacklisted from publishing any of their work. This is original work of Dr. Rosdinom Razali and Dr. Lai Mee Huong. 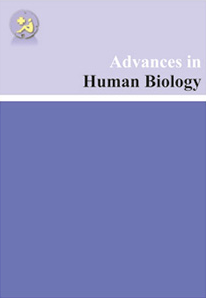 Journal of Advances in Human Biology wish to retract the article titled “Dementia Presenting with Hypersexuality: A Case Report” by Prutha Desai, Nisheet Patel and Nimesh C Parikh, Adv Hum Biol. 2015;5(3):70-80. This retraction follows an initial investigation by the editorial board. The investigation pointed out the article has been copied from Hypersexuality in Dementia: A Case Report. ASEAN Journal of Psychiatry, Vol. 14 (2), July – December 2013. Detailed investigation is being awaited from the ethical committee of NHL Medical College, India. This initial investigation recognized them as scientific misconduct. Therefore, we wish to retract the article. We deeply regret these errors and apologize to the scientific community for the need to retract the article. The 2015 report has yet to be cited, according to Thomson Reuters Web of Science. The 2013 report it allegedly copied text from, “Hypersexuality in Dementia: A Case Report,” was published in ASEAN Journal of Psychiatry, which is not indexed by Thomson Reuters. …the entire issue was raised by Dr. Rosdinom Razali who is the original author. After a short editorial board meeting, prima facie we felt that this is the case of plagiarism hence we decided to inform the authors of plagiarized article. In response these author[s] apologized to original author as well as editorial board. Later on as a part of our duty, we have informed the ethical committee of NHL Medical college to investigate this matter. We have not received any response from the college committee. We’ve reached out to NHL Medical College in Ahmedabad, where the first author, Prutha Desai, is based, but we were unable to find contact details for any of the authors. We also contacted Rosdinom Razali, co-author of the 2013 report, from the Universiti Kebangsaan Malaysia Medical Centre in Kuala Lumpur. Blacklisting authors is unusual, although we are seeing more bans recently. We’ll update the post with anything else we learn. Next Next post: We’re blinded by positive results. So what if we removed them?